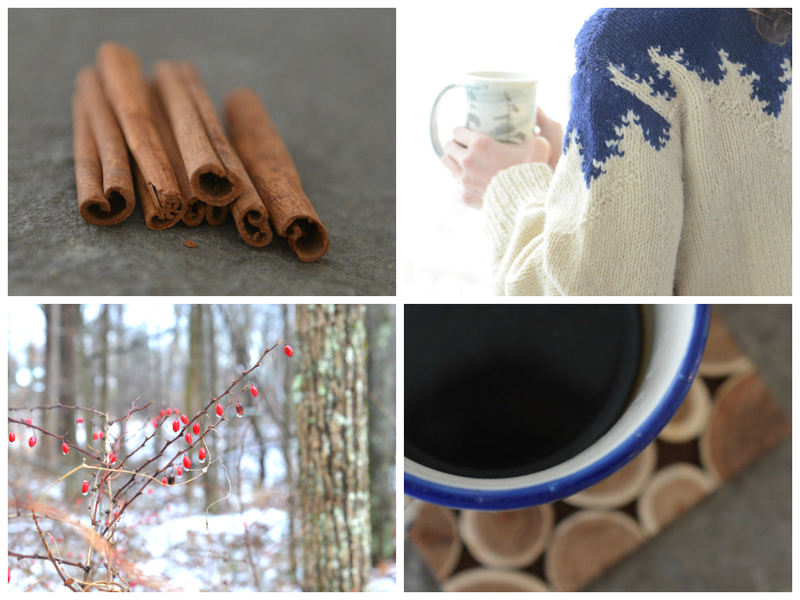 How many hot drinks does it take to get through these blustery winter days? 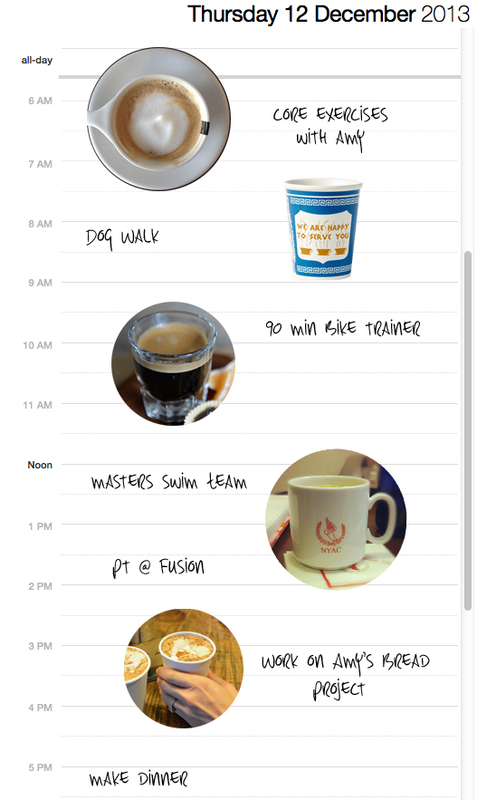 I tallied my hot beverages from last week and my daily average is SIX! There’s the street cart hot chocolate I use as a heater on my dog walk, the double espresso that fuels my swim workouts, the tea I grab on the way home from physical therapy, and the list goes on. It seems like every time I go outside I either come back with a hot drink or immediately make one. Coffee, of all varieties, is probably in heaviest rotation, but I’ll also go for herbal teas and rich sipping chocolates. With winter just starting, at this rate I’ll probably drink 500 hot beverages by the time things thaw out. That’s a lot of $4 lattes. Hot water. Laurel and Melissa both suggested spruced up hot water. Laurel likes hot water with a quarter of a lemon and a few drops of maple syrup. Melissa suggested cinnamon sticks and orange peel steeped in hot water. Both make excellent ways to rehydrate after a cold run or chilly walk home from the pool. Mulled Cider. My cousin Anna recommended making a pot of mulled cider and, once workouts are done and baby is in bed, adding a kick to it. Hot Cocoa. Sarah wants me to come up with a recipe for homemade peppermint hot chocolate. Aliza says get a good dose of calcium with hot chocolate made with mostly steamed skim milk and a little chocolate. DIY Tea Mixes. SJ says to buy a few different loose teas (you can order bulk from Davidson’s Tea) and mix them to come up with unique flavor combinations. Any other ideas from you guys?? Stay warm!